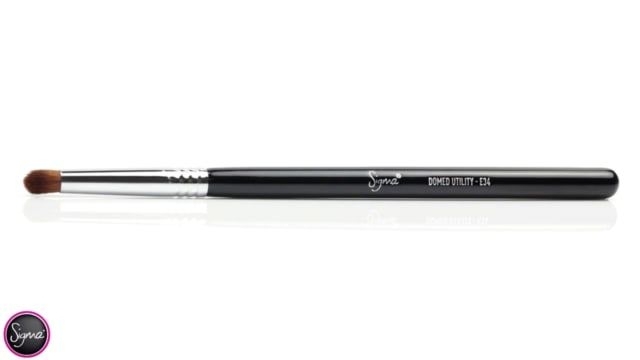 Get a bold color payoff with this SigmaTech® fiber brush in your crease or outer corner using bright or dark shades for alluring intensity. E34 Domed Utility™ Brush is rated 4.9 out of 5 by 14. Rated 5 out of 5 by Lindsey from Multiple Uses I bought this brush about a year ago, and it's been one of my most used eye brushes. 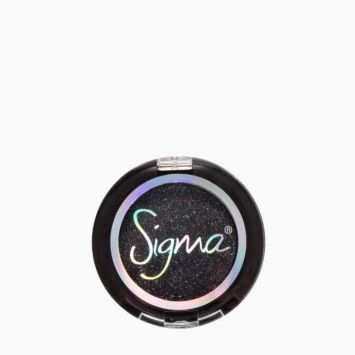 This is perfect for placing color in the crease, outer/inner corners, and underneath the lash line. It's definitely possible to get an entire eye look with using this brush, and this brush only. The shape helps the shadow you apply look more blended out, rather than just set in one exact spot. I highly recommend this to anyone who wants an extremely versatile eye brush. I've never had this brush shed and it holds its exact shape no matter how many times I wash it. Rated 4 out of 5 by HBD27583 from Not exactly what I thought This is the only sigma brush that I do not love like the others. It is still a very nice brush but its looks are deceiving. I was expecting a dense but slightly fluffy brush just the right size for adding intense colour in the crease. It is smaller than ideal with dense, tightly packed bristles that don't easily move or spread. I've had this brush for a few years now and it hasn't loosened up much. Rated 4 out of 5 by ssaengs from Outer corner brush This brush is a little different to what I expected. It is more dense than I thought it would be and I don't use it to blend out my crease. I use it to pack colour on the outer corner and on my lower lash line. I don't think having this brush for a beginner is necessary but it is still useful. 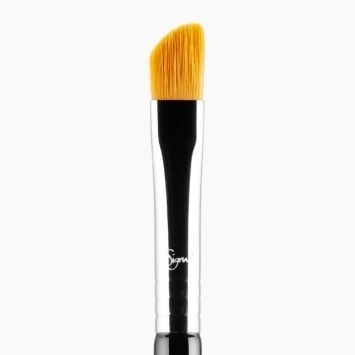 How does this brush compare with the E43 Domed Blending Brush? I have small hooded eyes, and I'm looking for something to apply precise color to the outer V and blend it out gently, without removing color. Thanks! 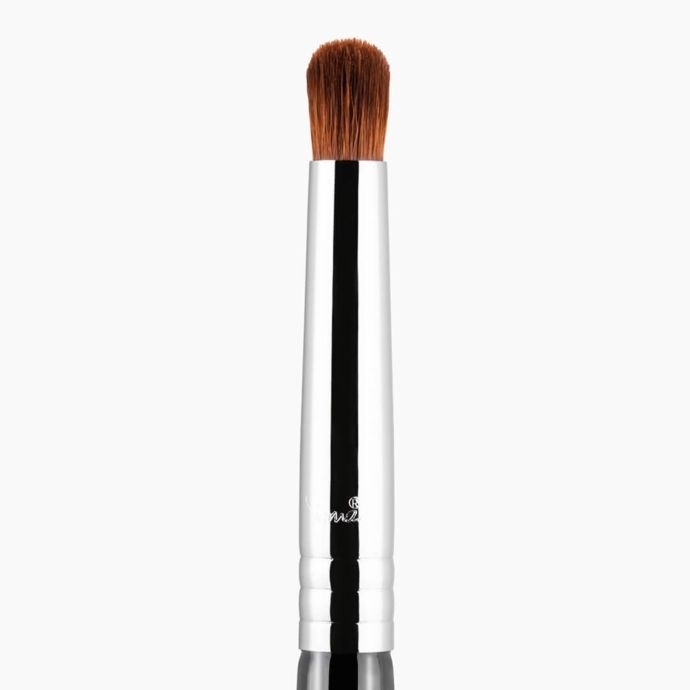 The E34 Domed Eyeshadow Utility Brush is a multi-functional brush that can be used with powder, liquid or cream products! It is best used when applying intense color to the crease or outer corner of the eye and it will give you great shading payoff. I am looking for a brush to apply eyeshadow on the lower lash line. will this brush be too big? I want to create a soft,smokey look. The E34 - Domed Utility&trade; Brush is made with synthetic fibers. Sigma does not conduct, condone, or endorse testing on animals.